How the Kenya Market Assistance Program spurred widespread change in the commercial fodder market for dairy cattle. Dairy farming in Kenya is a widespread form of revenue generation for agricultural households, contributing to a diversified set of income sources. The dairy sector accounts for eight percent of Kenya’s GDP, with 80 percent of all milk being produced by smallholder farmers in rural settings. These estimated 1.8 million smallholder farmers produce 4 million liters of milk per day, but the productivity of dairy cows in Kenya is highly variable, ranging from 4 to 8 liters per cow per day. In less than four years, TechnoServe catalyzed the commercial hay market from nearly non-existent to 14,000 acres under production. In part, this low productivity is caused by farmers’ mixed access to high quality products, services and information related to feed and animal health. This keeps production costs high, constraining the overall growth and competitiveness of Kenya’s dairy sector. TechnoServe’s Kenya Market Assistance Program (MAP) sought to connect dairy farmers with the products and services they need in order to maximize their potential within the dairy sector, which contributes important revenue to agricultural households in Kenya. Feed is an important part of cattle health and has substantial impact on yield. However, the plots where many farmers grow feed are too small, and many commonly planted species, like Napier grass, have limited nutritional value. Meanwhile, access to concentrated feed and other types of commercial fodder is inconsistent, and available products are often mislabeled regarding nutritional value. 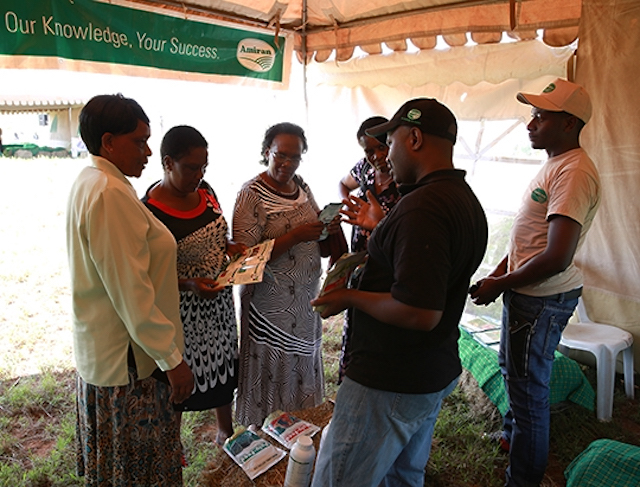 When TechnoServe investigated why the fodder market system was not meeting the needs of dairy farmers, they identified two obstacles to establishing commercial production targeted towards smallholders. First, high start-up costs for hay baling equipment, seed and fertilizer were prohibitive for many producers. 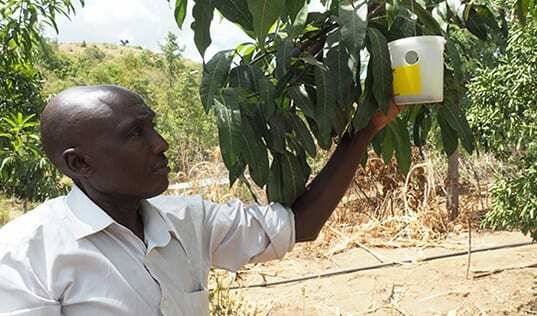 Second, many potential producers doubted their ability to recover this investment, believing smallholder farmers to be unknowledgeable about the product and unwilling to pay. MAP staff, however, believed that the fodder market could be transformed and harnessed to increase farmer incomes by improving the enabling environment. By facilitating the market linkages necessary for establishing a sustainable fodder market, MAP could support partners willing to pilot hay production. Once early adopters proved the business case, the market would crowd and prices would drop, making nutritious hay a viable option for smallholders. TechnoServe helped organize an official launch event with Sochon Farms, bringing together key stakeholders from across the commercial feed industry. 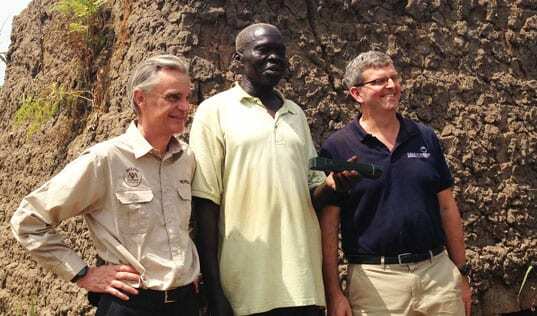 In order to construct this enabling environment, TechnoServe brought together key service providers such as John Deere, Kenya Seed Co. and Root Capital, who were able to develop favorable loans, service packages and payment plans for two early adopters, Hay N Forage Ltd. and Sohocon Ltd.
With this infrastructure in place, Hay N Forage was able to increase their production to more than 10,000 bales by the end of their first season, and they are now providing hay baling services for 400 farmers who are growing on roughly 500 acres. 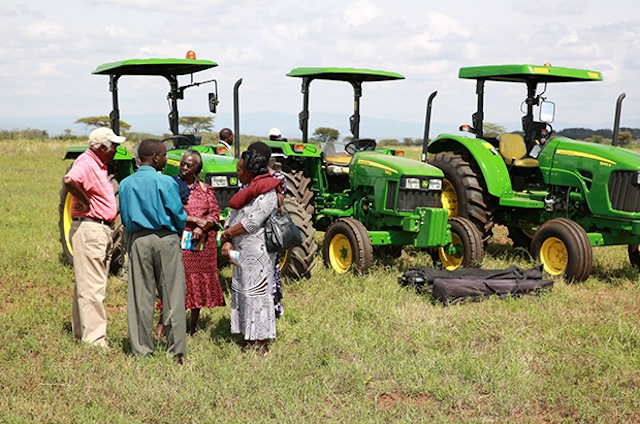 Sochon, who began production on 50 acres in 2014, now has 700 acres under production, and they have also independently partnered with farmers to establish Rift Valley Growers, an association of over 400 members growing hay on more than 7,000 acres. With the establishment of a sustainable and connected marketplace, TechnoServe has shifted its primary role to presenting the business case to the industry so as to crowd in other key players in the market and to make hay prices more attractive to smallholder farmers. The effort, carried out via events and news outlets, is paying off. Service providers continue to tailor their offerings for fodder producers, and New Kenya Creameries Corporation, the industry’s second largest milk processor, has announced its aim to source fodder for their producers from a total of 50,000 acres. TechnoServe predicts that, with an increased supply of hay, prices could fall to around $0.98 per bale, meaning more productive cows, farms and businesses for Kenya’s dairy farmers. Read our full case study on Kenya's fodder market here.